Seems like a lot of films, especially family ones, are debuting for the holidays. While The Muppets was a sore disappointment (not that I expected much - just like with Moneyball I was unwillingly pulled into it), I'm hoping that some of the others prove far superior. I'm not really a Michelle Williams fan (I respected but greatly disliked her character in Brokeback Mountain), but this movie looks beautifully produced and filled with brilliant, if slightly staged, characters. 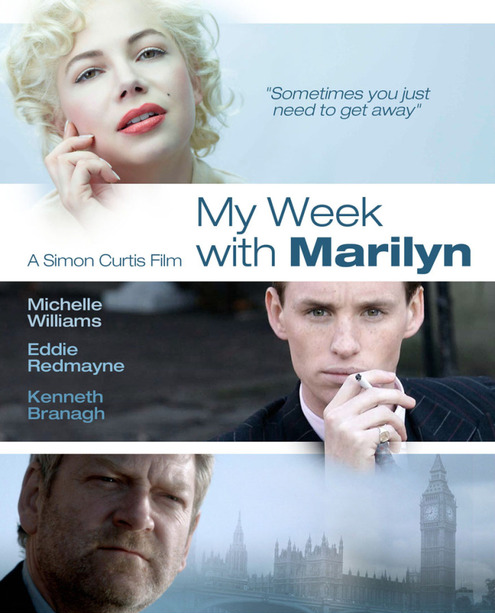 I'm willing to believe Michelle as Marilyn, especially as reviewers are raving about her performance. 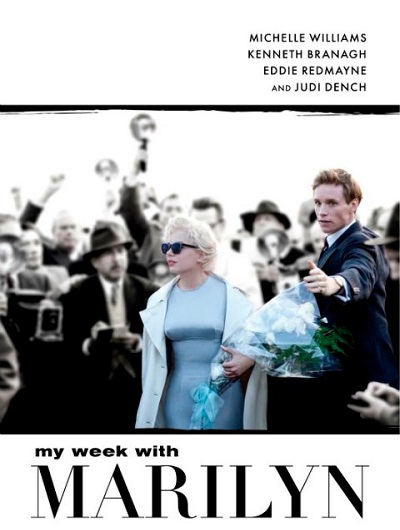 I've never heard of Eddie Redmayne before this, but he seems to have decent acting abilities. And of course, I'm a bit curious to see Emma Watson in a non-children's movie (albeit in a very limited role). Everyone looks fantastic in the trailer, and the ambiance perfectly tragic. I'm certain it'll be a dark and unhappy film, because you can't really do justice to Marilyn's life without some sadness and foreshadowing. But I'm in the mood for something adult and moody to wash out the excesses of immature comedy that recent films have plagued my mind with. It's a pity this isn't playing in more theaters! Only major cities seem to be screening it. I had zero interest in ever seeing this until I listened to the spill.com review. A children's movie for adults? I realize it can't possibly be up to the level of Pan's Labyrinth, but the genre intrigues me. Even as cynical as I am, sometimes we all crave a touch of magical whimsy, especially around the holidays. It's meant to be an homage to cinema, which I'm all for. And after watching the second trailer, my interest has solidified (the first trailer is targeted more at the kids, so I recommend you ignore it). I'm also loving what I see of Ben Kingsley, with his brief but powerful scenes in the trailer. If the score for the actual movie is anywhere near as evocative and moody as the Breath and Life track from Audiomachine used in this trailer, I'm sold. Nothing like great music to bring out the true spirit of a film. Of course, from what I listened to on Amazon of the Howard Shore soundtrack, it's nowhere near as grand, but I'm willing to forgive and try out the story for fit. Hopefully it's as mature and beautifully crafted as the promotions make it appear. Harold and Kumar Go to White Castle was one of the first crude comedies I ever watched, and it remains a favorite. Guantanamo Bay, unfortunately, hardly warrants a mention. However, I've heard that this third film revitalizes some of the good humor of the first, and adds some maturity to the levity. Our two favorite minorities are adults now, and face grown-up issues like marriage, in-laws, and long-standing friendships. I'm sure I'll enjoy it if it comes even close to being as funny as the original, which still cracks me up. Not all dirty jokes work, but when they do, excellent comedy can result. Neil Patrick Harris is supposedly a delight in this, and I'm curious to see what he's been up to. I probably won't see this in theaters, despite the 3D, because honestly this probably isn't the sort of thing you should watch in public. I think it'd be far better to save this as a rental for a later occasion. Ahhh political dramas. Always a bit overdramatized, but if done well, can be grandly thought-provoking and disillusioning. I've only recently (after Up in the Air) jumped on the George Clooney wagon, and am eager to see another strong performance from him. 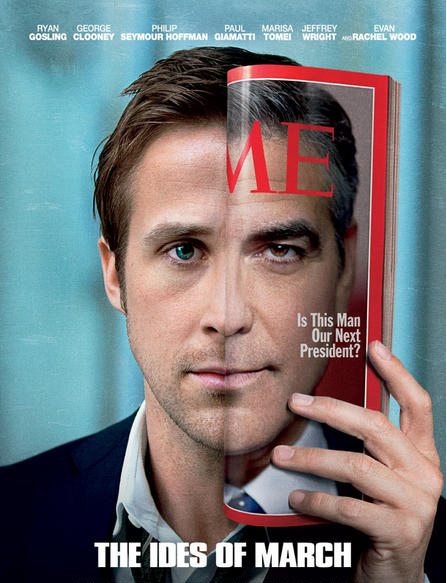 Ryan Gosling is a giant meh, but reviews for his performance here have been positive. Maybe I'll like him better in a serious piece rather than his typical corny romances. I also have a fondness for stories with solidly constructed twists. I've heard this one fits the bill almost perfectly. Part of my motivation to see it stems from simply wanting to watch the twist unfold. And not to mention, the title just has such a poetic rhythm, it almost makes me feel more enriched just to read it. I'm certainly not an expert on European movies, but the ones I've seen often possess such a delicate air and wonderful, subtle emotion. 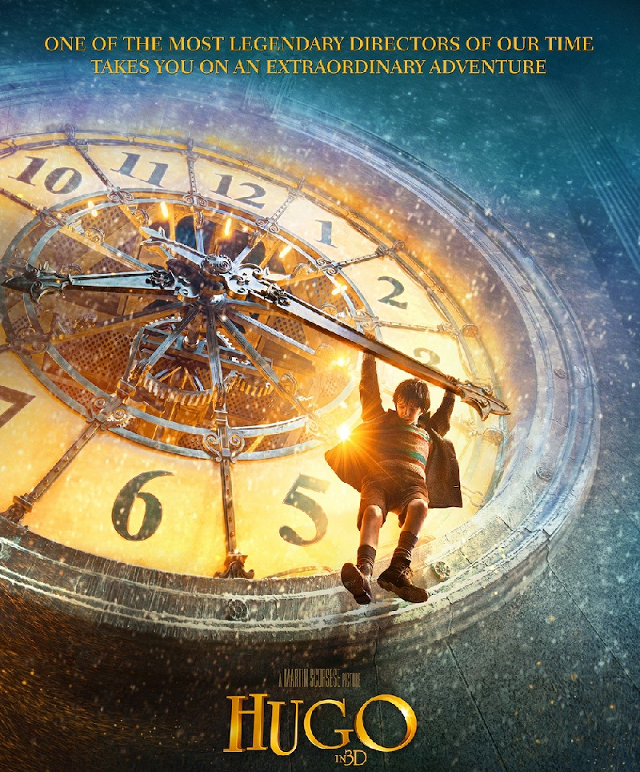 For some reason (and no, not simply because it's French), the trailer for this film remind me of 2010's animation, The Illusionist, which absolutely shattered me. The Illusionist was an unusual, beautifully crushing piece, a silent, childlike cartoon that told a very adult story through mere sounds and illustrations. It was reminiscent of the old days of hand-drawn, watercolor animations, in stark contrast to modern CGI. 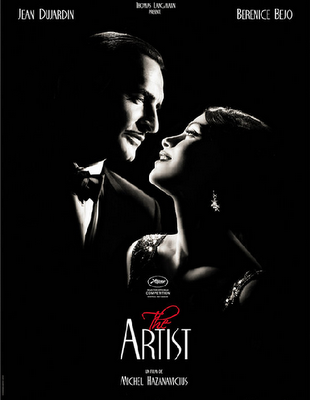 The Artist is similarly silent and evocative of a past age in film-making. The trailer makes it clear that it'll also be chock-full of its own masterful tragedy. I'm not huge on sad movies, but I appreciate films that make me think and experience novel concepts through the character's lives. Even more so if the ending stays with me, as tragic films often do. Luckily, I've heard that this movie ends on a happy note (can't say the same for Illusionist). Just hoping that I can find it playing somewhere. I'm not terribly enthusiastic about seeing this, as I read most of the plot points in reviews already, but a feel-good, emotionally weighty comedy is generally always a strong entertainment bet. I adore Joseph Gordon-Levitt after Inception and wouldn't mind watching him onscreen again as a cuddly, sympathetic character. Seth Rogen is also alright and occasionally funny. I'm not huge on Anna Kendrick, since her introduction to the world did occur with the unbearable Twilight, but after Up in the Air I'll concede that she has acting talent (far more than most of her vampire costars). If the occasion arises, I'll be happy to watch this, but most likely will wait for a rental to check it out and enjoy in leisure. Humorous claymation movies are generally always fun, and again according to Spill, this is supposed to be a surprisingly hilarious and well-done film. Of course, they also gave a far too generous Matinee rating for The Muppets, so I'll take their words with a grain of salt. But if I end up going to the movies with any kids, I'll probably push for this after Hugo. 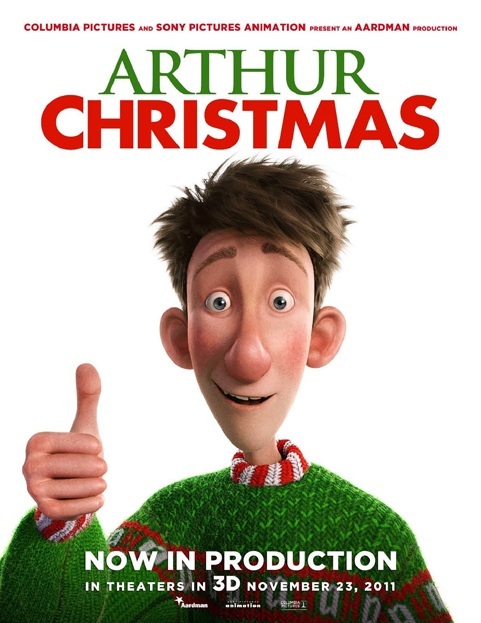 Besides, who doesn't love a cheery holiday children's film? Yeah, we all have those bouts of illogical, morbid curiosity, where we just know things will end badly but still can't help but want to see how it all plays out. I actually never finished watching Eclipse, as I realized somewhere in the early parts of that movie that this series is at a quality standstill. No director or screenwriter has a hope of making any of the films into even a halfway unpainful, decent movie. Not unless they completely depart from the source, and perhaps replace all of the actors. I must admit that I read the books, and while they certainly aren't good, they're not nearly as awful as the movies. Maybe when you read the lines they sound alright in your head, but once they're spoken aloud (especially by two very expressionless, emotionally stunted actors) you realize just what idiocy the words are. 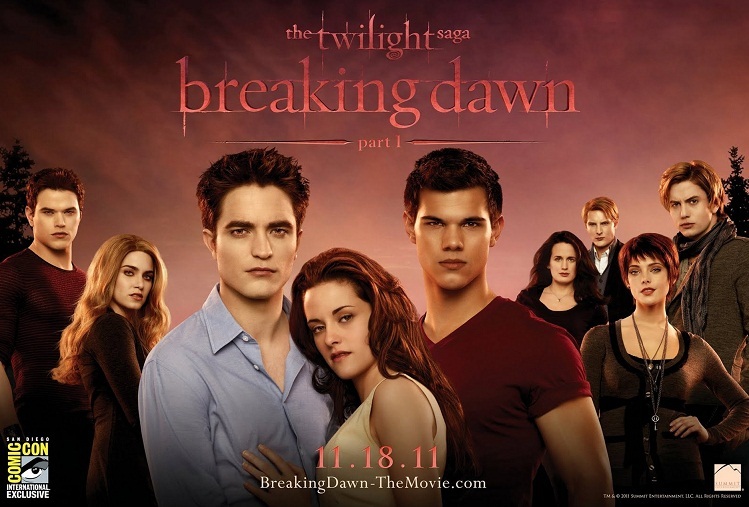 Twilight made me cringe and laugh in pain at certain stupid, ridiculously cheesy parts. New Moon was a slight improvement, but not by much (and only because I'm a Jacob fan), while Eclipse was just another rehashing of bad acting and bad dialogue in a more convoluted storyline (I did skip ahead to the Bella-Jacob kiss, because really, that was the whole point of book 3). There are no excuses for why I want to see this. I know just how horrible it'll be, not only from friend testimonials but also from having read the source material, which I do believe is the most ridiculous and silly of the bunch. I also have no desire to contribute to the big pool of money these filmmakers are getting for making such a subpar series. But regardless, I remain curious. Luckily it won't be unless I get through all of the above movies first. So that's it for films that are playing in theaters so far. I'm not really following what is coming out later in Dec, but it's likely something else will pique my interest. 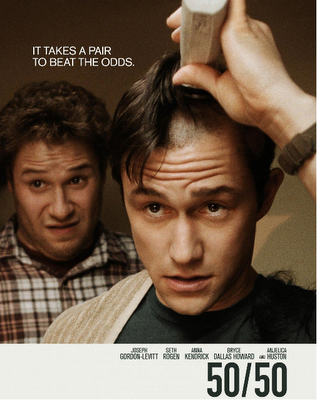 I'll probably follow this post with one on movies I'm excited to see in 2012 (of which there seem to be a TON). Hope this is perhaps slightly helpful for those that are also undergoing dilemmas on what to watch among the plethora of year-end films. If you've seen any of the above, feel free to leave a comment on what you thought of it. Happy watching!